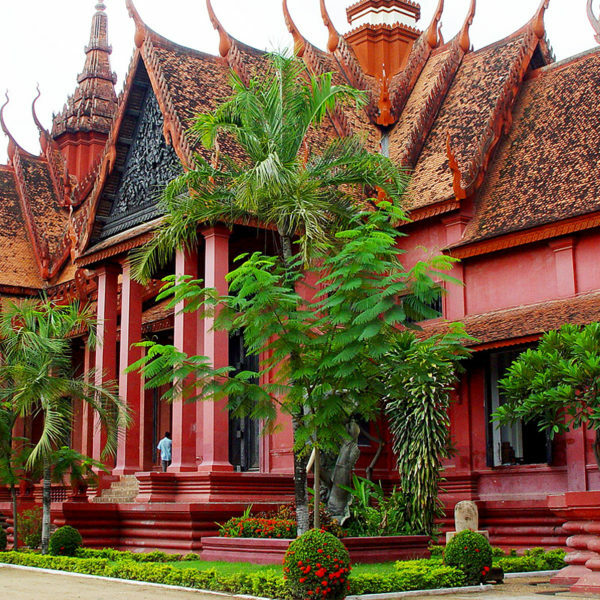 Travel to Cambodia’s capital, Phnom Penh, which was founded in the 14th Century and is a sprawling city lying in the arms of the Mekong and Tonle Sap Rivers. 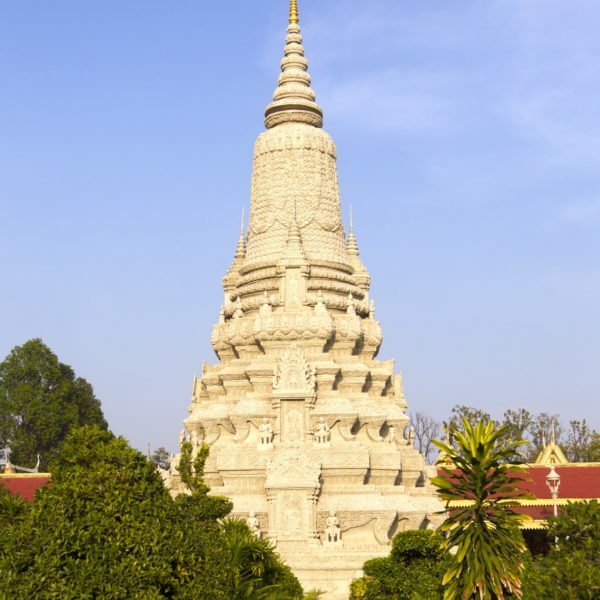 The sumptuous Silver Pagoda in the Royal Palace, built by Prince Sihanouk in 1962, contains over 5,000 silver floor tiles and houses one of the most spectacular collections of Buddha statues in the world. One golden Buddha is lavishly decorated with 9,584 diamonds. 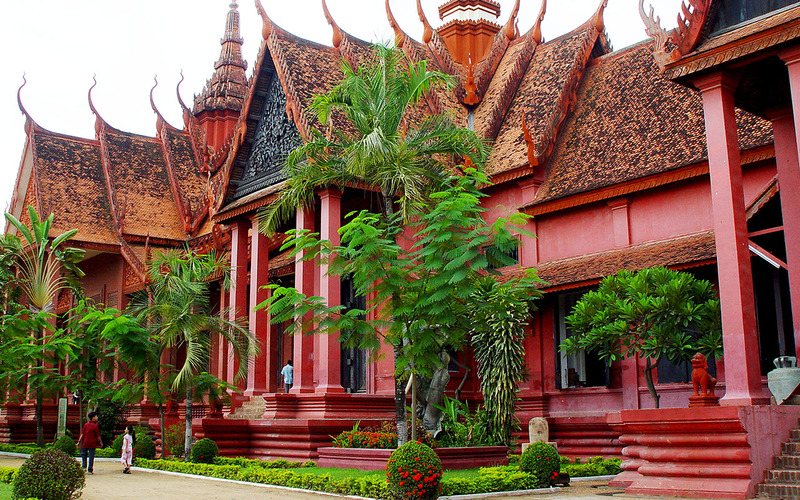 In Siem Reap, the Angkor complex constitutes one of humankind’s most magnificent architectural achievements. 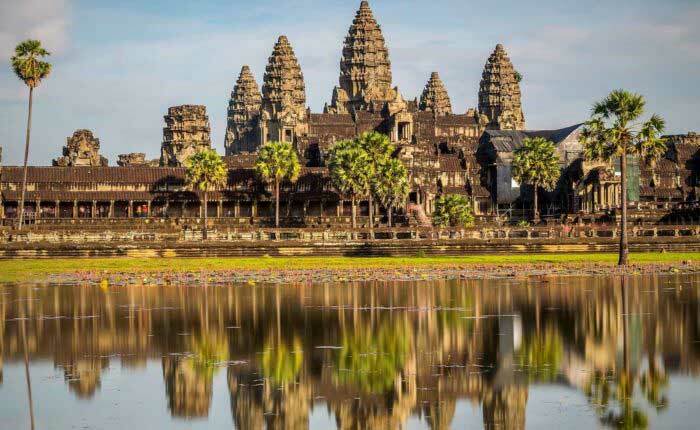 From Angkor the kings of the mighty Khmer Empire ruled over a territory that extended from the tip of what is now southern Vietnam northwards to Yunnan in China and westward to the Bay of Bengal. Angkor’s hundred or so temples constitute the sacred skeleton of a spectacular administrative and religious center which once covered an area the size of Manhattan. This is a sample semi-independent itinerary. Travel will be independent with guided tours and activities along the way. Our Destination Specialists will work with you to create an itinerary to meet your preferences. 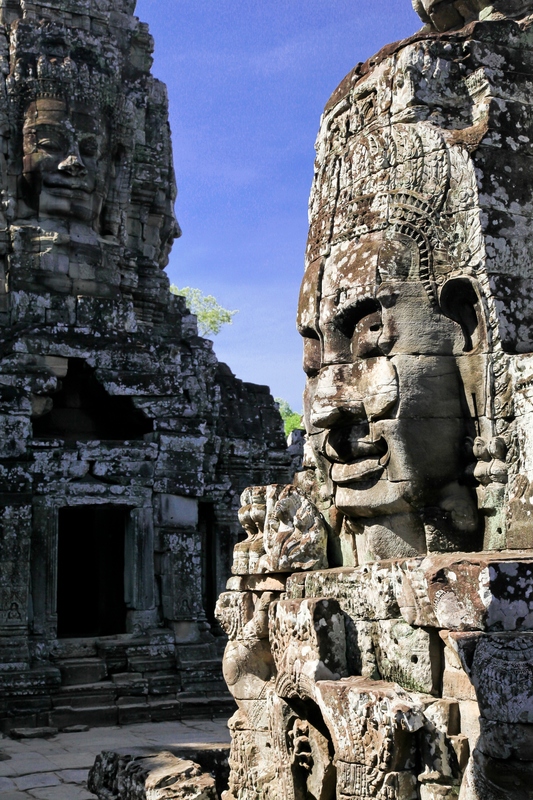 From the 9th to 13th century, Angkor was the heart of a rich and sophisticated civilization. You will see massive stone monuments, wide majestic causeways, imposing gateways and towers in a jungle setting. 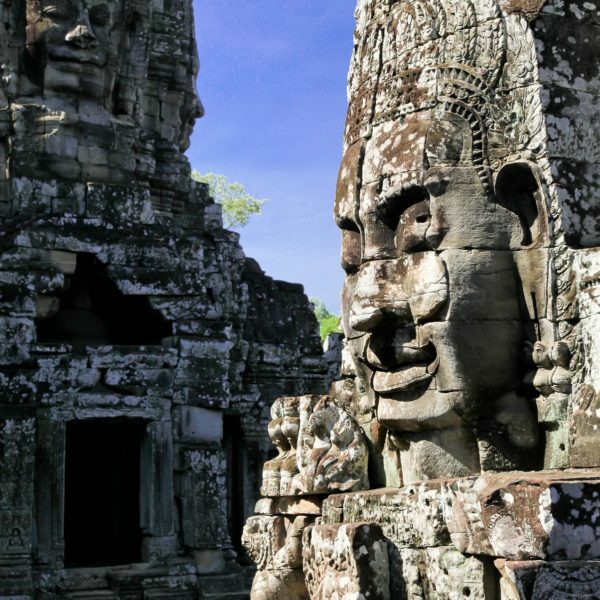 Start your exploration with a visit the great city of Angkor Thom, visit the famous Bayon Temple, Baphuon Temple, the Terrace of the Elephants and the Terrace of the Leper King. Visit the small and unique Neak Poan temple, and Preah Khan Temple, one of the most significant buildings of the ancient Khmer. 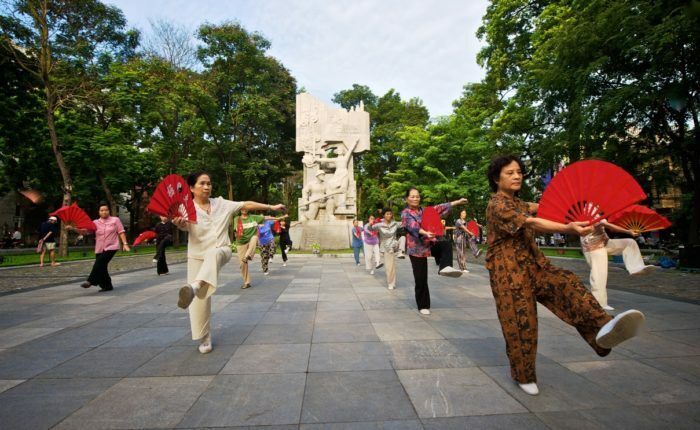 This afternoon you can choose to visit the Rolous Temples group in an ox-cart or by bike, or enjoy a cooking class. After lunch at the Sala Bai Hotel School, where underprivileged local youths are trained, make your way to the Rolous Temples through the countryside, villages and rice paddies. 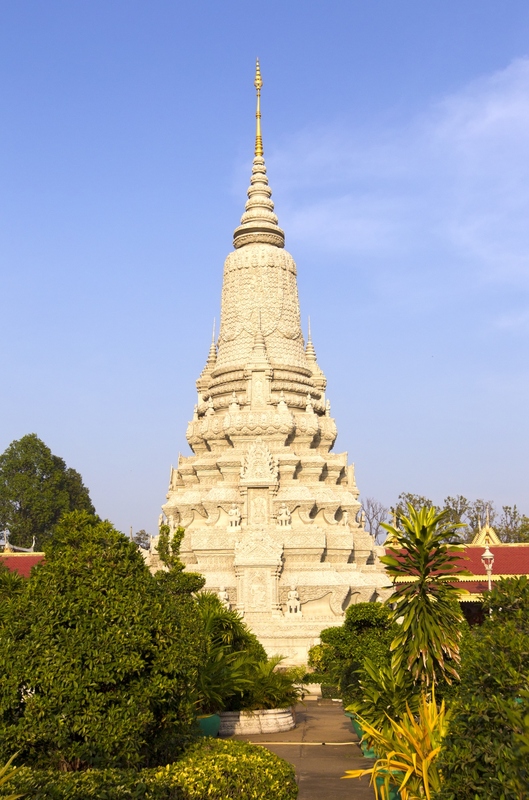 In an ox cart or by bike cycle visit the temples, continue to cycle or walk to visit a local market and Wat Thmey Pagoda return to your hotel. 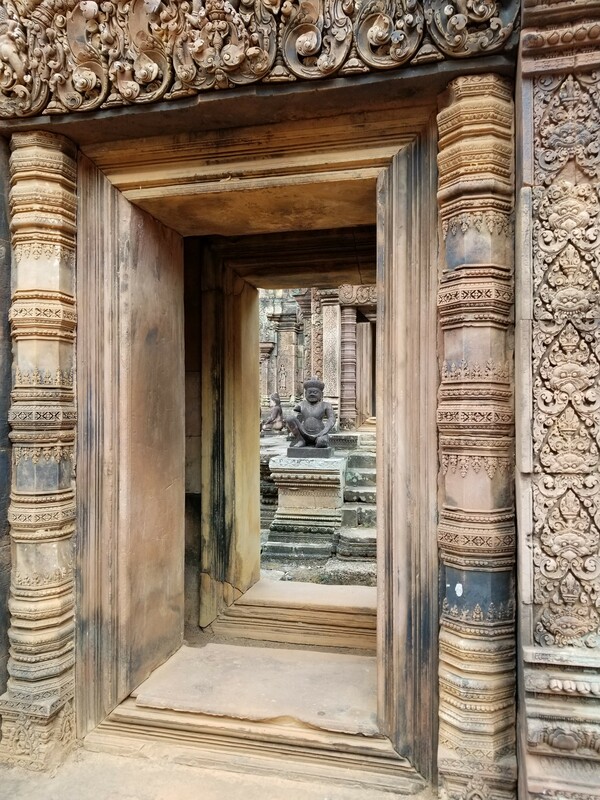 This morning, head to the outlying Banteay Srei Temple, “The Citadel of Women,” with its rose-colored sandstone walls that many consider to be the best carvings of any temple at Angkor. 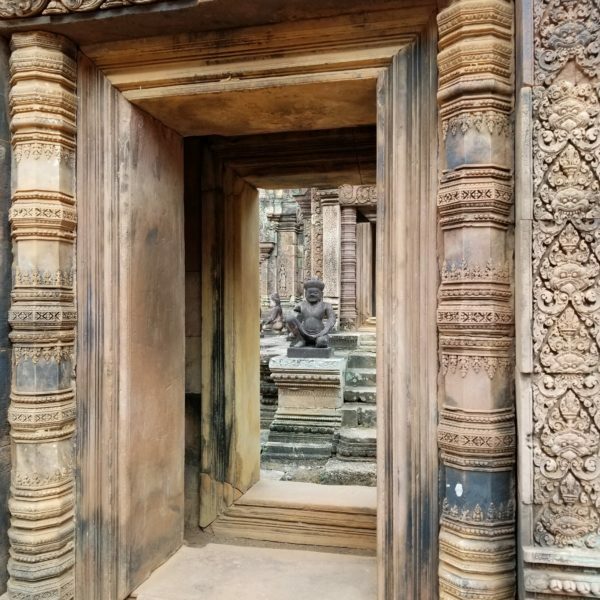 The quality of the carving and the state of preservation makes Banteay Srei extraordinary. Continue to Banteay Samre. In the afternoon, transfer to Tonle Sap Lake, the largest permanent fresh-water lake in South East Asia that flows into Tonle Sap River, joining the Mekong in Phnom Penh. Enjoy a boat ride visiting the Vietnamese “floating village,” a big village floating on the lake with floating schools, the “village” moving from place to place following water levels and current. If you’d like to kayak to a floating village, please inquire. *April and May are not ideal due to low water levels. You will feel blessed and warm after receiving a monk’s blessing and a quiet conversation with a monk, find out how one can learn how to live a peaceful and happy life. After an hour foot massage, you will be ready to transfer to the airport and continue your journey.